A new option in prostate cancer detection, Prostate MRI offers some of the most detailed visualizations of the prostate gland available. MRI offers detailed visual representations of the prostate gland, which allow physicians to identify and precisely locate prostate tumors. These capabilities have potential to reduce risk from unnecessary prostate biopsies and guide more appropriate treatment decisions. 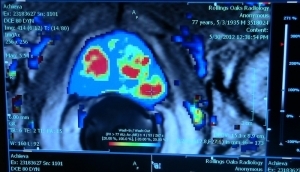 One of the nation’s first private practices to establish a dedicated prostate imaging program based on multiparametric MRI proto utilizing 3T MRI, RadNet’s participation in beta testing of prostate imaging technology helped to validate the use of MRI in prostate cancer detection. 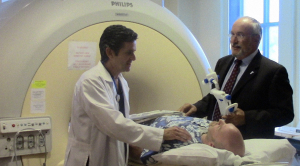 Under the direction of RadNet Prostate MRI medical co-directors Dr. Robert Princenthal and Dr. Martin Cohen, RadNet prostate imaging specialists have combined to perform more than 4,000 prostate MRI exams. All RadNet Prostate MRI facilities are equipped with advanced, state-of-the-art 3T MRI technology necessary to capture the most detailed view of the prostate available in clinical settings. 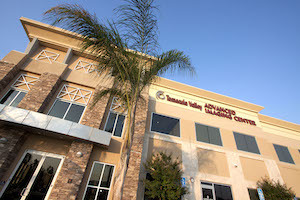 Initially available at a single location beginning in 2009, RadNet has since expanded prostate MRI services to 6 outpatient imaging sites conveniently located across 4 southern California counties.